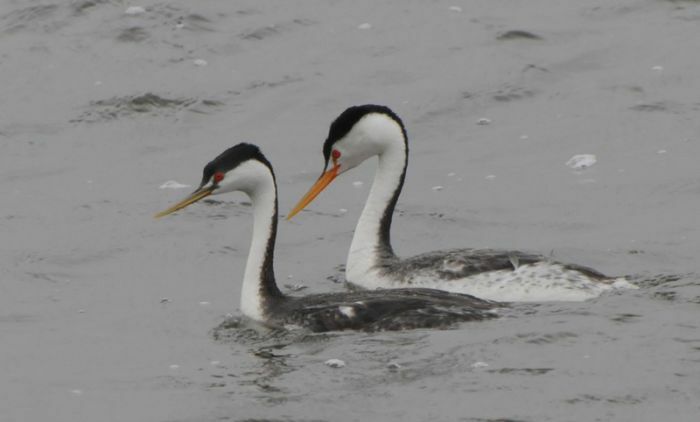 Clark's Grebe pair in the colony on Pearl Lake, Stutsman county. Photo by Rick Bohn. 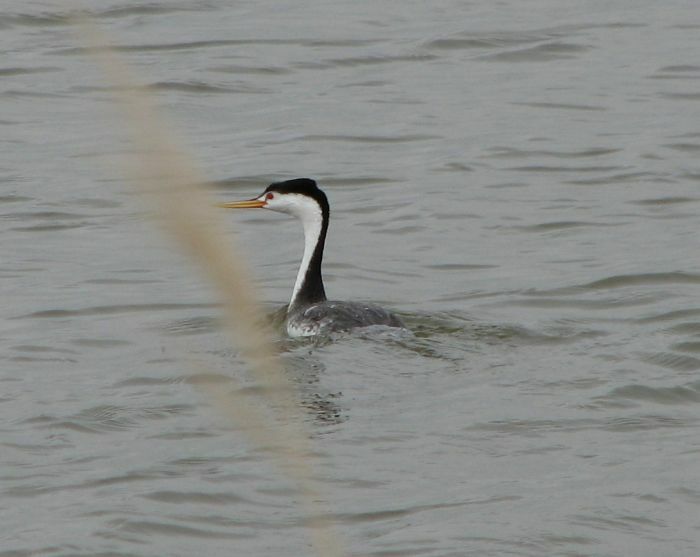 Image showing a Clark's Grebe in back paired with an intermediate form (hybrid between Clark's and Western?). Note distribution of white on face, especially above and below eye of these two birds, and compare with Western in field guides. Taken: 2009-06-06 Crossing of Alkaline Lake, sw of Dawson, about 2 miles west of Hwy 3. Image taken by Dave Lambeth. Photo taken by Bob Anderson one mile north of Medina, ND. 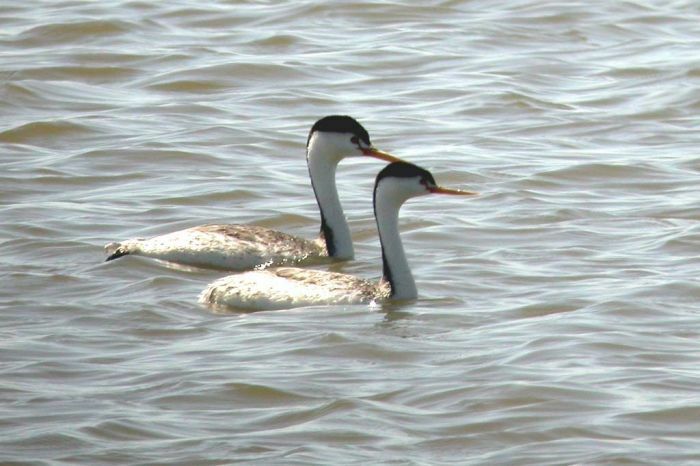 Pair of Clark's Grebes. Digiscoped image by Dave Lambeth. Taken: 2005-06-19 Benson County, in marsh straddling Benson-Towner County Line Road, about 1 mile w. of Maza. Maza is about 6 miles north of Church's Ferry on US 281.